You Can't Beet World Vegan Day! Australians are preparing to join in a global party to celebrate World Vegan Day (1 November) by hosting work lunches, dinner parties, and eating their favourite vegan meal. World Vegan Day, established in 1994 by The Vegan Society, aims to promote and expand awareness of the ethical, compassionate, health and environmental benefits of a vegan diet and lifestyle. Still not convinced? Lettuce entice you with this delicious recipe. Internationally renowned culinary arts institute Le Cordon Bleu, which recently opened its new Brisbane campus, has developed a recipe that will make even the biggest carnivore lick their lips and ask for more. Le Cordon Bleu's Technical Director for Australia, Tom Milligan, has created a recipe that is perfect for anyone looking to excite their taste buds with the ultimate combination of healthy and deliciousness. 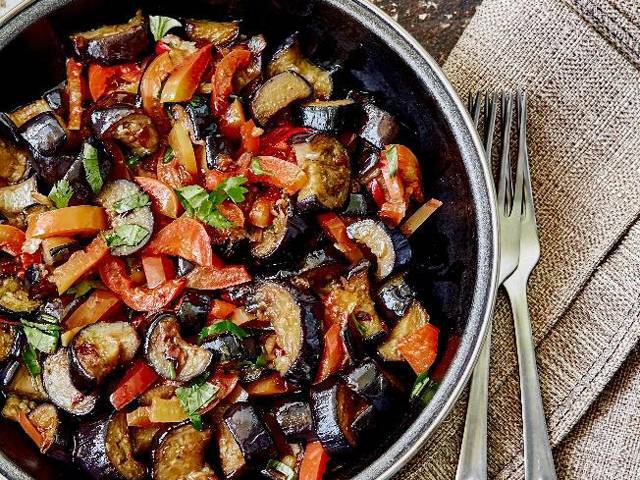 "There is a common misconception that vegan food is boring and bland but it can be even more flavoursome and tasty, and my ratatouille Provencale alongside my smoked tomato and sweet sorbet is the perfect introduction," said Tom Milligan. Heat the oil over medium heat in a large saucepan. Once hot, add the capsicum, zucchini, red onion, and garlic and sauté for about six to eight minutes until just tender. Add half of the basil followed by the salt, pepper and chilli. Stir well, adding more seasoning if you desire. For the smoked tomato sorbet, mix together the salt and sugar. Use this mix to cure the tomatoes, by covering them and leaving them in the fridge overnight, covered. The next day, drain and rinse the cured tomatoes. Smoke the tomatoes by placing them in a zip lock bag and using a hand-held smoke gun with hickory chips in it. Pipe the smoke into the bag. Place your peeled, cured tomatoes in the bag, seal and leave in the fridge for 1 hour. Puree the smoked tomatoes and sweet basil leaves in a blender until completely smooth. Strain into a bowl. Measure how much liquid you have. Add this back to the blender with exactly half the amount in liquid glucose and process until smooth. Place tomato puree into a sorbet machine and churn until ready. Serve ratatouille with additional fresh basil, smoked tomato sorbet and crusty baguette.